The HomeComing event will begin the morning of Friday, November 15 and conclude the evening of Saturday, November 16. If you want to proceed with making airline travel arrangements, we suggest you make travel plans to arrive on Thursday, November 14 and depart on Sunday, November 17. If you have already purchased ticket(s) and would like to add or remove tickets to your order, please contact Ransomed Heart at events@ransomedheart.com, and we'll be happy to assist you. * Tickets are limited and we expect this event to sell out, so we encourage you to register as soon as possible. 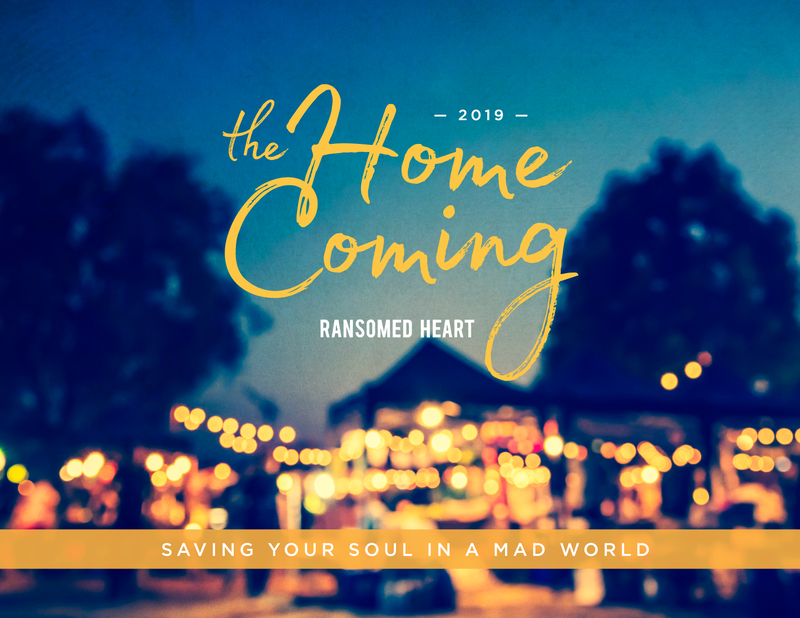 The heart behind this event is an opportunity for friends and allies of Ransomed Heart from all around the world to gather together for a two day conference that explores the subject of "Saving your soul in a mad world". Whether your journey with Ransomed Heart started 10 years or 10 months ago, we invite you to join John, Stasi and the Ransomed Heart team as they share some of the rich insights that God has been revealing to us lately. Maybe you've been a faithful podcast listener, a consumer of John and Stasi's books over the years, a Boot Camp or Captivating Alumni, or an ally on the front lines of offering this message to others; regardless of how you've tracked with us over the years, we invite you to come to Colorado and reconnect with us. *Due to the nature and depth of the content and experience, this event is not designed for children, and childcare will not be provided. Tickets are refundable, less a $25 cancellation fee per ticket for any cancellations made before November 1, 2019. Any cancellations made on or after November 1, 2019 are non-refundable and non-transferable. Refunds will be refunded on the credit card you used to purchase your ticket or sent via check within two weeks of cancellation order.